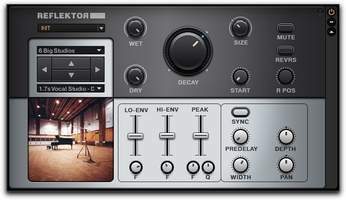 Of all the reverb types on the market, convolution reverbs are perhaps the most intriguing, because their sounds are based on impulse responses from actual spaces such as concert halls, recording studio live rooms, gymnasiums, you name it. The following is a list of the top five convolution reverbs, as chosen by the Audiofanzine community. The big winner of the poll is none other than one of the pioneers of convolution reverberation: Altiverb, from Netherlands-based Audio Ease. The software, currently in version 7, is a true standard in the audio industry and it allows you to recreate spaces as different as the Sydney Opera House and the cockpit of a plane. With the passing of time, the software has become less resource-intensive (and processors more powerful!). It offers 64-bit processing under both Windows and Mac OS X, and its parameters can be automatized. Users who have bought Altiverb ($595) receive new impulses free every month. Also note the existence of an XL version that handles 5.1 and 96 kHz. It's obviously hard to avoid Waves in these matters: The IR1 is its convolution reverb available in surround (IR-360), simplified (IR-L) and low latency (IR-Live) versions. 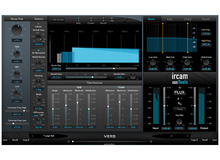 The IR1 comprises more than 100 impulse files and also allows you to capture and create your own reverb. 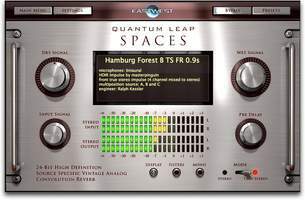 The software is Mac and Windows compatible, naturally, and is available in AAX, RTAS, VST, VST3, AU formats. The IR1 costs $300 on Waves website, while the IR-L version sells for $150. Native Instruments, one of the leaders when it comes to computer music, comes in third with Reflektor. It includes more than 300 impulse responses, has a very low latency and a very low price: $99 (although it currently sells for $49.50!). What's inside: Real rooms, studio reverb modules and some features (sync, reverse) conceived with sound design in mind. The software uses Guitar Rig 5 Player to work and also allows you to save your own impulses. It is all Mac and Windows compatible and can be used with most sequencers. At LiquidSonics, convolution reverb is a hobby. Incidentally, Reverberate is their main software. It allows you to have a "true stereo" convolution reverb (where both channels are completely independent), without latency. Reverberate is Mac and Windows compatible, and it includes 250 presets and 400 Mb of impulse responses. Plus, it offers a stretch feature (50% to 150%) and a wide array of processing options (delay, EQ with LFO, chorus…), which will allow you to get some very original effects. 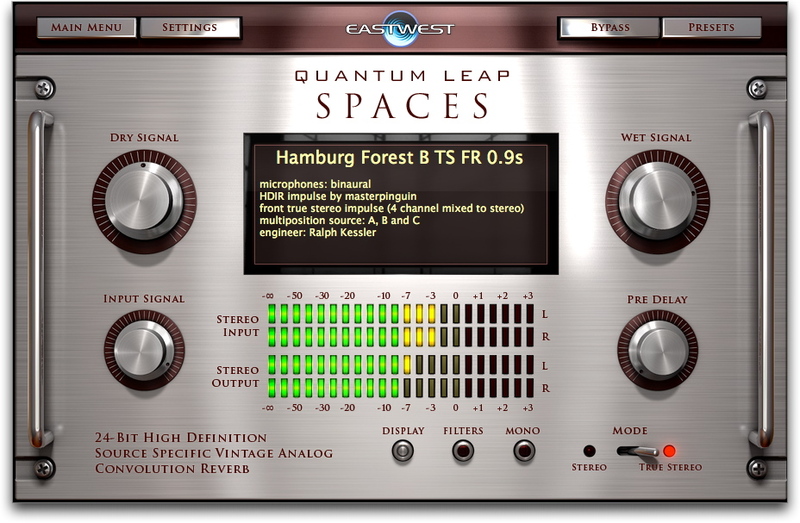 We finish this top five with Spaces Convolution Reverb by Eastwest/Quantum Leap. Spaces is oriented towards orchestral music, the impulses were created putting ATC speakers in strategic places in concert halls. However, the more "rock" instruments weren't neglected in any way with impulse responses made in different studios in Los Angeles. Most impulses have eight channels, in order to recreate a surround space. Spaces is True Stereo, 24-bit and not too resource-hungry.